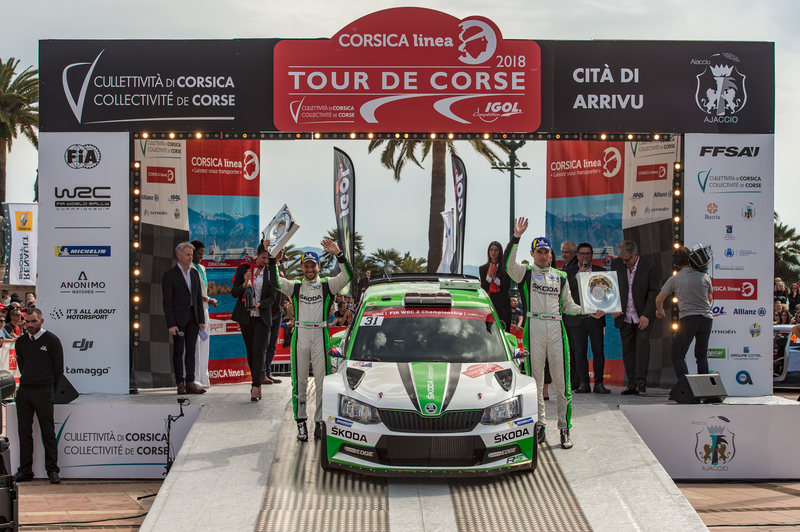 Bastia, 8 April 2018 – ŠKODA factory team Jan Kopecký and co-driver Pavel Dresler (CZE/CZE) achieved a dominant start-to-finish win in WRC 2 category at Rally France/Tour de Corse. 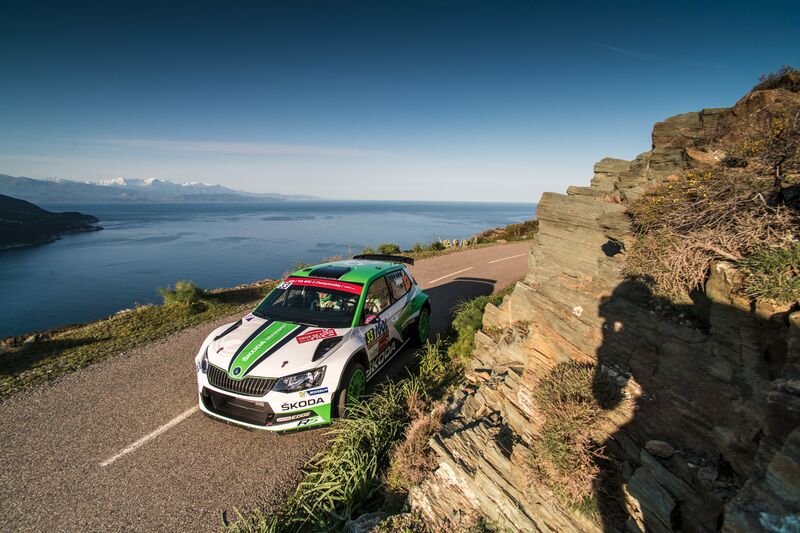 Their young Norwegian teammates Ole Christian Veiby/Stig Rune Skjaermœn (NOR/NOR) drove two more fastest stage times and by just 1.8 seconds missed the podium, which was completed by Italian ŠKODA privateer Fabio Andolfi. 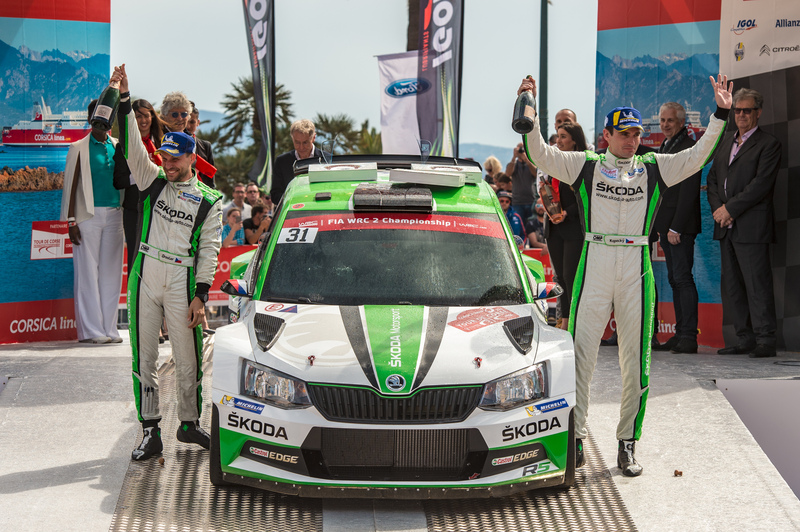 The second from three legs of the fourth round of the FIA World Rally Championship on Saturday brought mixed emotions for the team members of ŠKODA Motorsport. 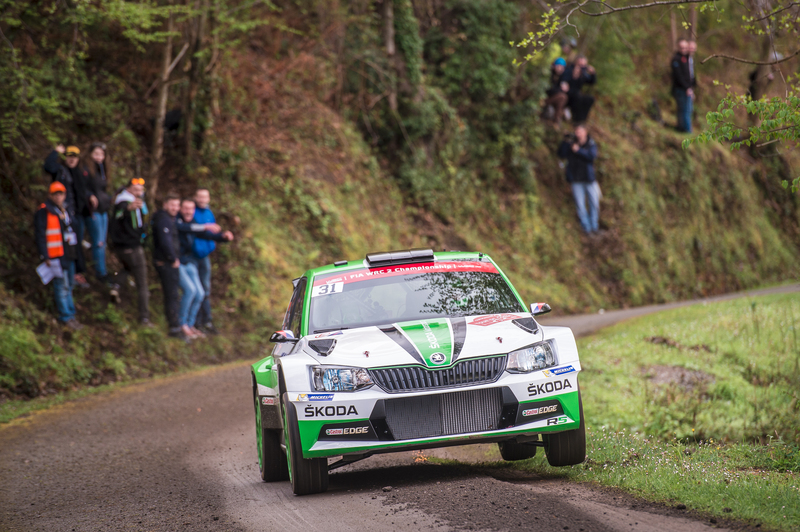 While Jan Kopecký with four stage wins stretched his WRC 2 lead to nearly one and a half minutes, teammate O.C. Veiby moved up to second place in the WRC 2 category standings after the second run through the longest stage of the day. But in the last test of the day, a malfunctioning gear link shift made the gearbox of his ŠKODA FABIA R5 stuck in first gear. Veiby lost more than two and a half minutes and as a result also second place. His rival, Citroën driver Bonato, was delayed by a false alarm of the GPS safety device in his car, which forced him to stop on stage eight. Hours later, the stewards gave him a time compensation, and Bonato moved back into second in WRC 2 category. 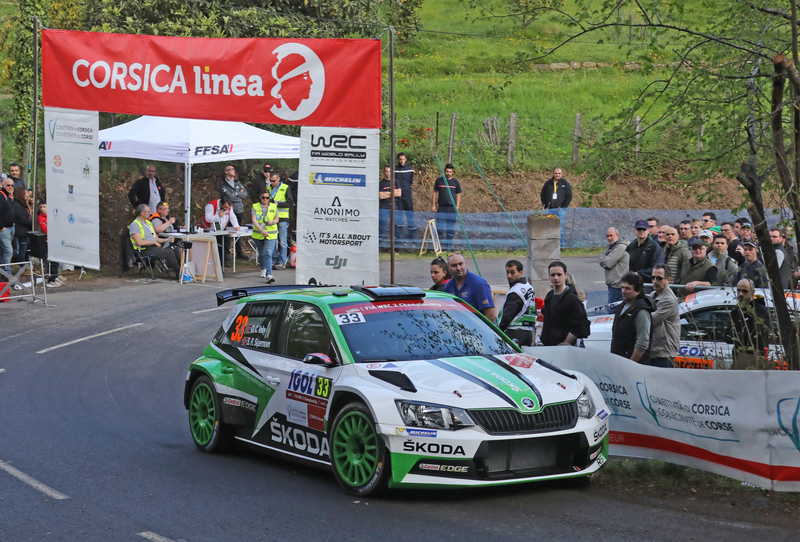 After his ŠKODA FABIA R5 had been successfully revised at the service on Saturday evening, at the restart on Sunday morning Ole Christian Veiby found himself in fourth position, more than 55 seconds behind Italian ŠKODA privateer Fabio Andolfi. All eyes were now on the young Norwegian youngster and the question was: Can he move back into the third position in WRC 2 and consequently onto the podium? 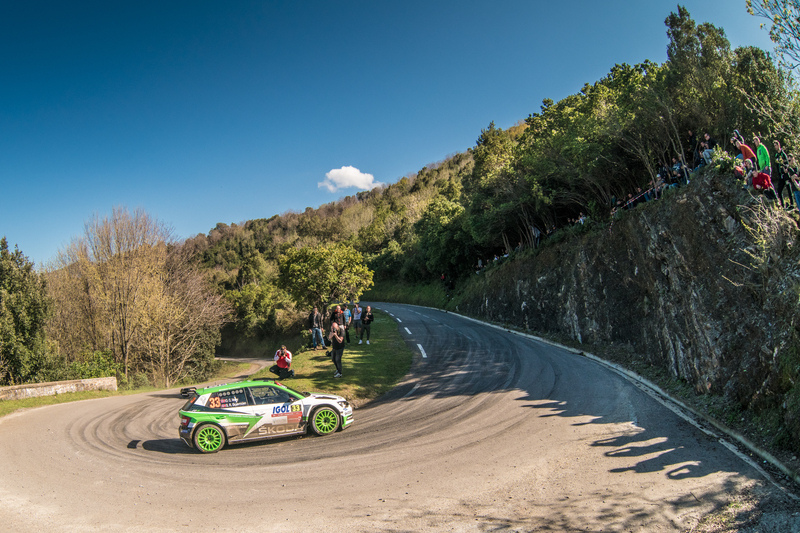 The first of Sunday’s two stages was the gruelling 55.17 kilometres test between Vero and Sarrola-Carcopino, which reached the highest geographical point of the rally with an altitude of more than 885 metres above sea level. Since 1986, this also was the longest stage of the Tour de Corse. And Ole Christian Veiby drove a fantastic stage time, beating Andolfi by impressive 47.7 seconds and closing the gap to a mere 7.9 seconds before the final Power Stage. Kopecký meanwhile took a cautious approach: “I have a huge gap to the guys behind me. I avoided every stone on the road to just bring the car to the finish in one piece. 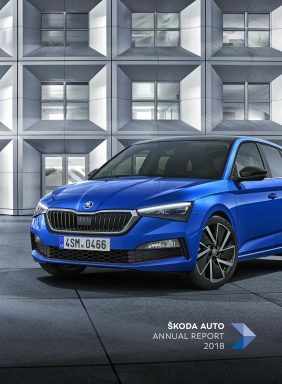 We are happy, our ŠKODAFABIA R5 was working perfectly.” On the last stage, the Czech Champion even managed to defend eighth position in the overall classification. O.C. Veiby set the last fastest time in the WRC 2 category, but in the end missed the podium by just 1.8 seconds. Third went to Italian ŠKODA privateer Fabio Andolfi. The longest stage of the Rally France/Tour de Corse was the more than 55 kilometres long test between Vero and Sarrola-Carcopino. 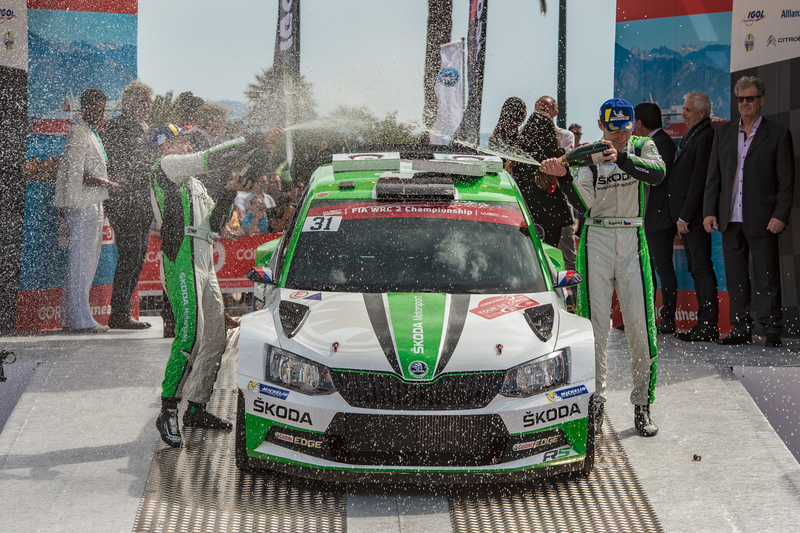 The fastest crew on this monster stage was the ŠKODA factory crew of O.C. Veiby/Stig Rune Skjaermœn.